We are looking for Senior Production Manager for a leading International Sportswear Retail Brand for Bangalore.Mail your applications on reeku@netsyscon.net or call on 7738726142. Oversee all production process pan India on capacity and on-time delivery performance. Develop and execute the seasonally Production plan to reach the business objectives related to production volume & quality. Coordinate with QA for the timely product inspection (Initial, Mid and Final). Ensure that the Production principles tally with the company’s vision and priorities. Develop and track improvement in reduction of production lead time and through put time. Coordinate, set up and implement operating procedures for all production or preproduction activities. Manage variations in production plans versus actual output to achieve confirmed delivery dates. Make assessment of Production operations staffing and skill requirements and accordingly develop plans to address needs. After establishing Production priorities allocate the resources and develop strong sourcing database for all the style categories. Minimum 6-7 years of relevant experience, experience in an Export/buying house would be preferred. We are looking for Store Manager with a leading international Retail Brand for their outlet in Delhi .Mail your applications to vicky@netsyscon.net or call on 9870020897. We are looking for Area Visual Merchandiser for a leading International Sportswear Retail Brand in Mumbai. Mail your applications on reeku@netsyscon.net or call on 7738726142. Order and coordinate installation of VM supplies for seasonal/ monthly changes for all stores in the region. Identify and communicate with stores to convey changes in visual direction. Collect feedback, photographs and regularly send reports of stores to all involved. Recruit, select, train and develop Visual staff in your areas. Keep vm costs under allotted vm budgets and following proper finance cycle of estimate approvals, purchase orders and invoice submissions to coordinate timely payments for vendors. Knowledge of Adobe Illustrator, Adobe Photoshop, Corel Draw and Microsoft office. 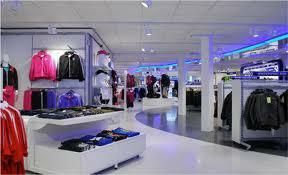 We are looking for Area Visual Merchandiser for a leading International Sportswear Retail Brand for Bangalore. Mail your applications on reeku@netsyscon.net or call on 7738726142. We are looking for Area Visual Merchandiser for a leading International Sportswear Retail Brand for Cochin. Mail your applications on reeku@netsyscon.net or call on 7738726142. We are looking for Area Visual Merchandiser for a leading International Sportswear Retail Brand for Delhi. Mail your applications on reeku@netsyscon.net or call on 7738726142. We are looking for Production Coordinator with a leading international Retail Brand in Gurgaon. Mail your applications to reeku@netsyscon.net or call 07738726142. Ensure product meets Puma International quality and safety parameters. Implement testing standards and ensure the same are followed thru in all production. Ensuring proper wearer trials of all styles once fitting is approved. Development of tooling including lasts and moulds for final production. Conducting preproduction trials with the vendor to ensure that the product is trouble free and practically designed for bulk production keeping in mind Puma requirements. Ensure all Puma India vendors meet Social audit and SAFE audit requirements. Ensure production schedules followed by vendor as per the planned schedules and regular updates to merchandising on the same. Project Manager-Leading Digital Media Agengy @ Malad. 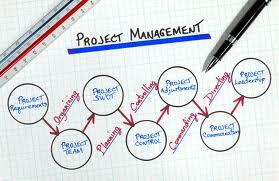 We are looking for Project Manager for a leading Digital Media Agency in Malad. Mail your application to reeku@netsyscon.net or call on 077387206142. Obsessive list maker and task master who gets great pleasure from keeping others organized, communicating with both technical and business teams, and ensuring your projects are delivered on time. 2 years of project management experience in an interactive environment, experience in agency project management would be an added advantage. We are looking for Manager-Coporate sales with a leading international Retail Brand for their corporate office in Gurgaon. Mail your applications to reeku@netsyscon.net or call 07738726142. Building & growing B2B Channel Sales, targeting the Corporate, Institutions, Schools etc. Responsible for Overall Channel Sales in North region. Responsible for Delivering both Top Line & Gross Margins. Should be able to handle Account Receivables & Account Reconciliations. 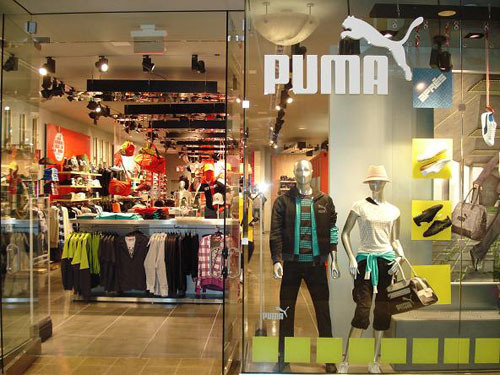 Positioning Puma as desirable brand to institution customers. Responsible for the development of new product lines with the sourcing team. Graduates preferably MBA with minimum 5 years of Corporate Sales. A battle ship was on exercise at sea in bad weather. The captain was on the bridge. It was foggy. Just after dark the look out spotted a light on the starboard side. The captain asked if it was steady or moving. The look out replied the light was steady meaning they were on direct collision course with that ship! The captain ordered the lookout signal to the other ship. “I am a seaman second class. You had better change course 20 degrees,” came the reply.